CO2 Laser - K. Charles Kim, M.D. 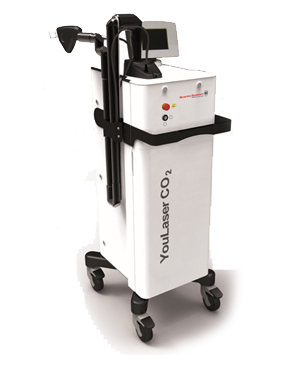 YouLaser CO2 artificially poses injury on dermal tissue in order to reconstitute powerful collagen. The natural healing response induces collagen production on the dermis by stimulating fibroblasts, which results in mitigation and treatment of scars, improvement on enlarged pores and fine lines, and preventing skin aging process. • Enhance advantages of existing CO2 laser while reducing recuperation period and disadvantages. • Effective for both epidermis and dermis. • 1~2 sessions of YouLaser CO2 delivers the result similar to that of laser resurfacing. • A single session alone improves skin elasticity. • YouLaser CO2 only requires local anesthesia or anesthetic ointment while other laser resurfacing procedures require general anesthesia due to severe pain.